Christmas is almost here and are you like me – still scrambling for gift ideas, but your Christmas budget is running out? Here is a great last minute gift idea that you can make in one day and your house will smell amazing! My husband has a thing for Apple Butter. He’s kind of an apple butter snob. Before we moved to our Almost Farmhouse, we struggled to find good southern Apple Butter while we lived in Vegas. Family would sneak it in their suitcases like contraband and every box from home would usually have a jar for him. One Christmas, a friend gave us a jar of his mother’s homemade apple butter and we graciously accepted it, but I could see the scrutiny on Trent’s face. As soon as we get home, a piece of toast was made for the judge. Then came the tasting. Trent’s reaction was much like that of Julie Andrews twirling around on the Swiss Alps from the Sound of Music. His mind was blown and he immediately got the recipe from his friend. Now let’s fast forward three years and guess who’s finally making the recipe for him. Yeah, wife fail, but with good reason. We knew we were moving back to the south, so the store bought stuff would be readily available. Plus I’m canning shy. For the past few years, I’ve dreamed of becoming an off the grid homesteader, feeding my family on homegrown food, but the canning process terrifies me. And I have yet to plant one thing! Call me crazy, but messing up something where you can get a brain eating parasitic infection has held me back from trying canning foods. When I read Sarah’s article from Autostraddle about canning and how Apple Butter was the perfect starter recipe for any canning novice, I saw the clouds part and off I went to get my supplies. Her article gives wonderful tips on canning methods and how to keep your food safe and I was no longer afraid to give it a try. Once Trent smelled the apple butter cooking, he asked me to marry him all over again. Amazed at how easy this whole process was, I wish I would have started canning sooner! 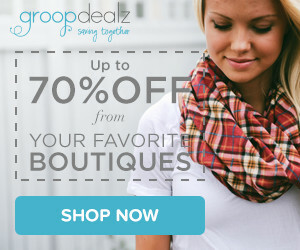 If you are struggling for last minute gifts, and only have a day or two – this is a must try! Mix all the ingredients in a large sauce pan and adjust to your tastes. Bring to a boil, then let simmer on low heat for 4 – 6 hours. Stir VERY often as it will begin to stick to the bottom. To verify completion, drop a spoonful on a saucer and see if liquid forms around the border. Moisture equals more simmer time. Water Bath Canning: Place clean jars and lids into the water to boil. Boil for 10 minutes and leave them in water until you’re ready to fill the jars with apple butter. Once filled, return the jars to boil for an additional 10 minutes. The lids will pop to signify a proper seal. Let sit overnight to rest. For my first time making this recipe, here’s what I noticed. The Apple Butter will reduce – a lot! My batch reduced about 1 1/2 inches during the simmering process. Check the moisture ring often. I thought the apple butter was done at 6 hours, but it needed about another hour to remove that liquid border. I started my batch at 9:00 am, filled and finished my jars by about 4:30 or 5:00. Let them rest overnight, and I had them wrapped by the next morning. For this batch, I doubled the recipe and it made 12 half-pint jars and one pint sized jar. So simple, my friends! Hope this helps you with last minute ideas that are quick, easy and budget friendly! Let me know how your batch turns out! What a great idea! I always scrounge around at Christmas trying to find easy gifts to make, and I will definitely be trying this one! I like that it made your house smell apple-cinnamon-good, too. 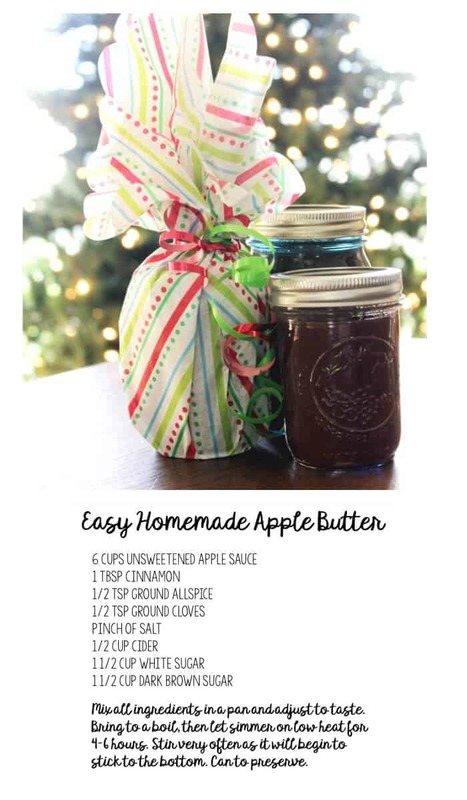 Apple butter is a favorite in my family, and will be a welcome stocking stuffer for uncles and aunties. Yay, Hometalk, for showing me to your site!! I Love that you found me through Hometalk. Some of my best followers found me over there! Glad you are along on the journey! Thanks for stopping by and taking the time to comment.